Oh no, it's a quartet of Daleks! 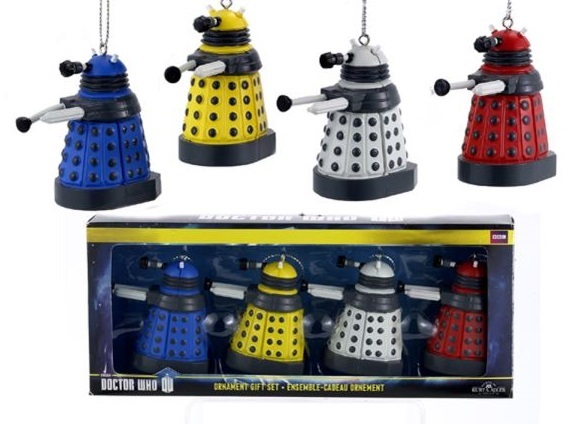 This ornament set features four of the little exterminators, and they are quite a colorful bunch! There is a blue one, a yellow Dalek, a white one, and a red. Give each to a friend, or hoard them all for yourself! They would look adorable hanging on a Christmas tree, but the decorations are equally suited to be left out year-round.